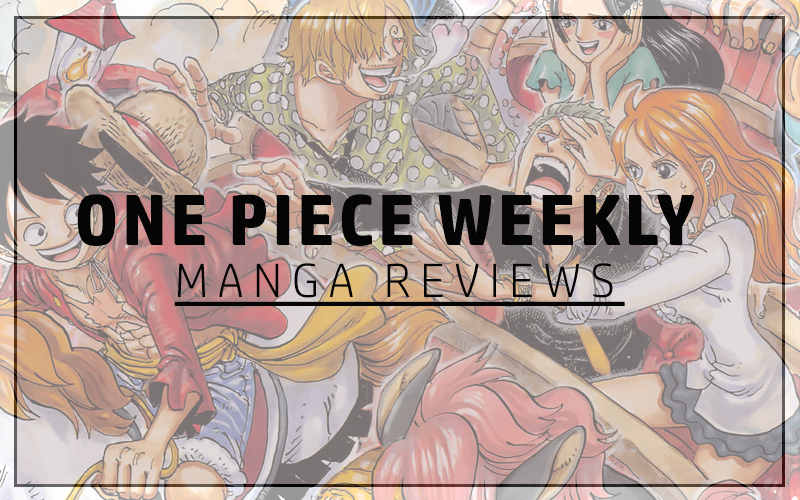 We have a decent chapter this week building upon the Straw-Hat’s arrival on Zou. We know the sub-team lead by Sanji is already on the island but now the whole team has arrived and things are starting to get interesting. I don’t usually comment on the cover arc but it seems we are about to get a world reaction of the Straw-Hat bounty increase as is customary. This is one thing I am looking forward as I love the reactions and glimpses of old characters of note from the series. Later in the chapter upon Luffy’s fight with one of the Mink-Men it is mentioned that the ‘Electro’ does not work against him much like Enel’s attacks on Sky Island. This has bought a lot of comparisons to that particular arc considering both arcs are on islands very high above the ground. The reaction of the Mink-Men to Luffy countering their special ability was one of confusion but it was nowhere near the level of what Enel experienced. It should also be noted, that Carrot has the ability to jump very high into the sky and hold her position. We’re talking several hundred feet, allowing her to survey the whole island from a vantage point. With her being a bunny that makes sense but it makes you wonder; what more are we going to see? 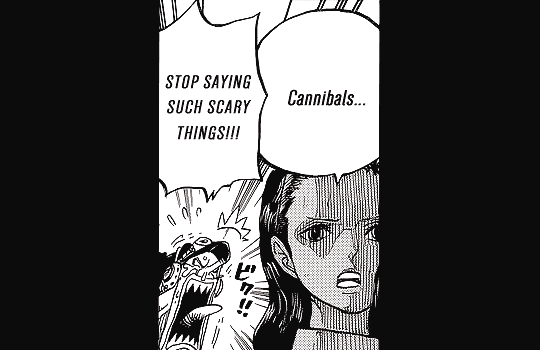 Robin seemed to believe they’re cannibals which Usopp originally refuted but soon fell for in what can only be described as the most hilarious moment this chapter. Luffy has run head on into these Guardian guys and is taking on a huge bull. The Heart Pirates are also present here minus their captain obviously but they don’t have much authority here and the battle is quite intense between Luffy and the Bull who we later learn is named Rody (most likely a take on Rodeo). Bepo tries to intervene with words, explaining Straw-Hat is a friend but at this point the Guardians only see him as an intruder and having none of it. Jean Bart tries to intervene physically but the Gorilla “Black Back” judo flips him flying with a single arm. A point to note is that everybody here is already injured to some degree possibly due to a huge battle that took place on this island. Wanda and Carrot eventually arrived to patch things up. 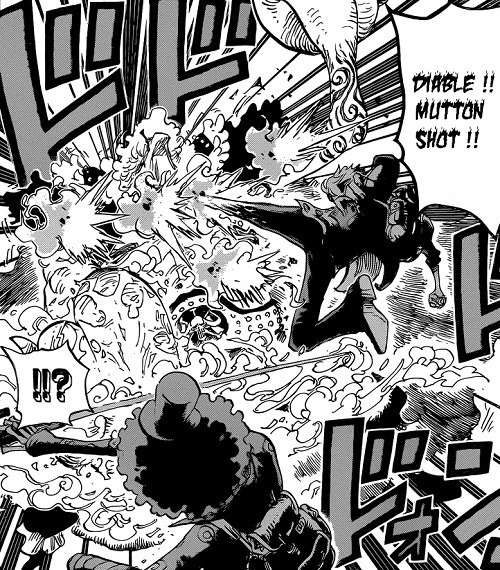 A simple gag was used here by Oda but it was very effective. A rag which I presume is red distracted the bull whilst a bunch of bananas were enough to put Black Back in a good mood. Even Luffy was surprised by this. The thing to note here is the strength of these guardians where Jean Bart was no match for them and a single of these Guardians kept Luffy at bay despite injuries. It could be argued Luffy wasn’t looking to fight seriously but he definitely wasn’t going easy. Luffy never goes easy. 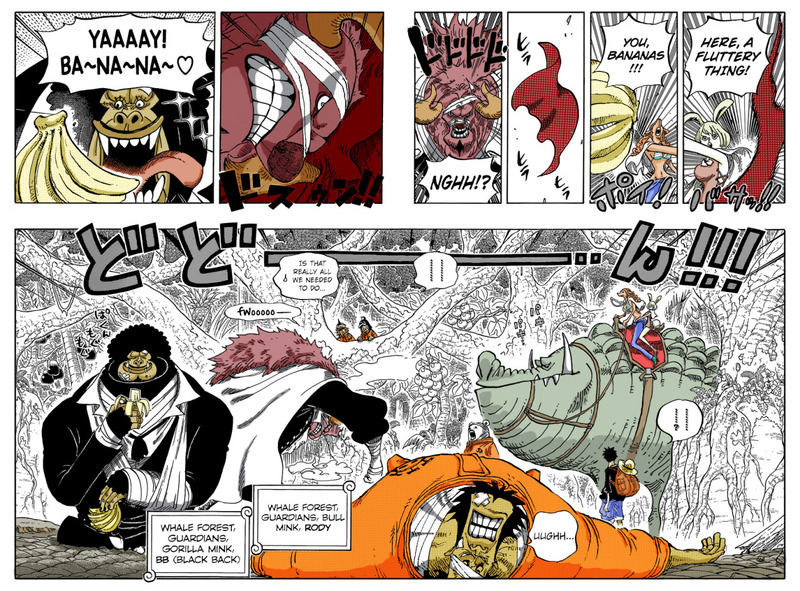 It was later revealed that Luffy was surrounded by the Guardians and a Lion guardian named Pedro was calling the shots. Only upon Wanda’s discretion did he order his units back. It is clear these Guardians have a lot of influence on this island. They may possibly be something kind of nobility or carry a high-rank amongst the Minks. Also to be noted, Luffy’s Observational Haki failed him on this occasion. Not quite sure what kind of power the Guardian Minks possess but Luffy had no idea he was surrounded and that isn’t normal. 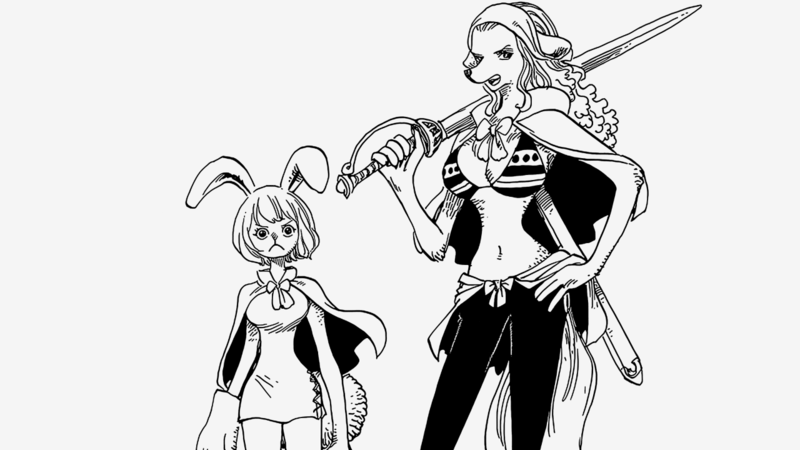 Law and Zoro were able to sense Carrot but she seems an experienced Mink on comparison to the huge Guardians. 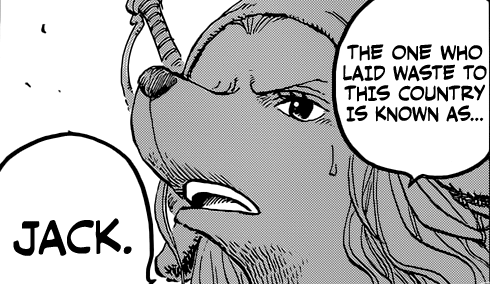 We’re not quite sure just how strong these Mink-Men are but Sanji was able to defeat one back in Chapter 795. It seems there are different classes or tribes of Mink-Men even amongst the species. The first to be noted is obviously the huge Guardians. These were all male so it may be a Male/Female difference much like we witnessed on Fishman Island. The females we have seen so far are from the Warrior Tribe in the form of Carrot the Bunny and Wanda the Dog. There seem to be different factions amongst the Minks but they seem to be working in unity. The females also possess more human like features in comparison to the males. Luffy had to comment on this with an ‘Island full of Choppers’ remark. Bepo is also confirmed to be a Mink-Man but he left the island at a young age. 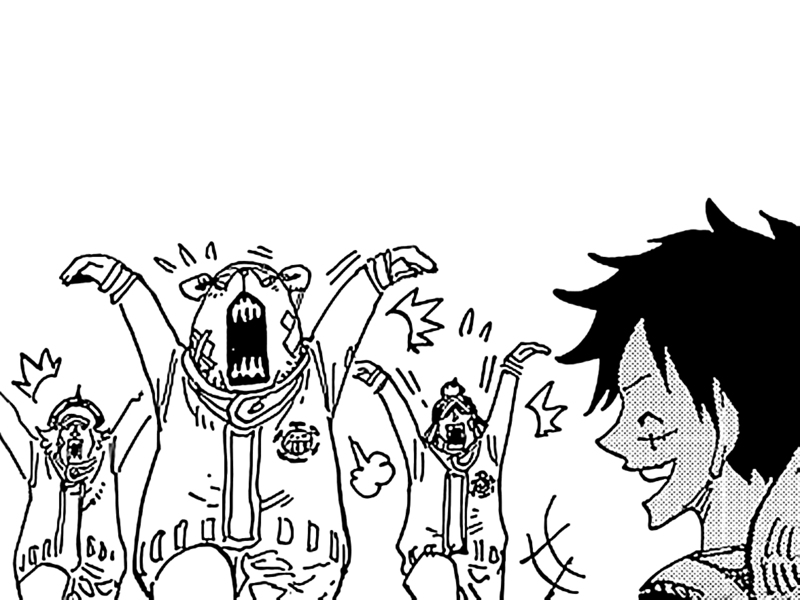 Law and Bepo have been together for quite a while so the bond is strong. Bepo, Shachi, Jean Bart and Penguin are all on the island. They’re the only known members of the Heart Pirates. A few others have been seen but no names have been attached to them so you could say this is the core group. Law was aware his crew would be on this island but it is revealed he had no idea he would ever see them again as he went about taking Doflamingo down. It was truly a suicide mission and Traffy had not expected to survive; information I do not believe he passed on to his crew as they were looking forward to reuniting with their Captain. It was only upon realisation that he still possessed Bepo’s vivre card did he find a way to get in touch with them again. Otherwise he had left no means to get back to them should they have not been on Zou. This to me is quite sad. Law was willing to risk his everything to take down Doflamingo but didn’t have the heart to let his crew know what he was planning. The scene between Luffy and the Heart Pirates was hilarious. 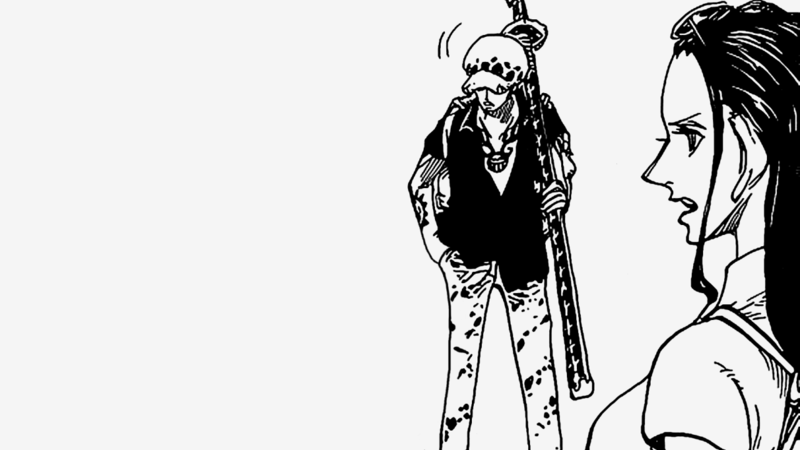 They had heard about the alliance but Luffy kept mentioning Traffy and they refused to acknowledge that this Traffy-guy may just be Trafalgar Law. Only after a heated discussion of hilarity did they realise this. It’s going to be fun having Shachi, Penguin and Bepo in this arc. The first arc where the alliance is actually there as a whole with Law’s crew being a part of the plot. Wanda mentioned to Zoro and the rest that their corpses of their crew are in a specific area on Zou and gave them instructions to find them. Usopp had a right reaction to this. He was mortified; even more than the thought of being eaten by Mink-Men. Even Franky and Zoro were quite shocked initially but Zoro was quick to dismiss it showing his brotherly respect to the Straw-Hat Cook and his rival claiming even Sanji wasn’t stupid enough to get himself killed. It shows Zoro has trust in Sanji’s ability to look after the team in his absence. This was quite a bromance moment and I’m sure a lot of Straw-Hat fans would enjoy this. Robin’s reaction was the strangest and funniest. Her observation from all this was still linked with her cannibal theory. Considering their corpses were intact, it would mean they were not cannibals after all. 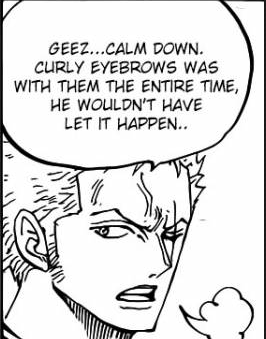 But on a serious note, why would Wanda mention such a thing and what was up with the morbid expression when Luffy asked about Sanji and the lot. There is definitely something serious going on here. 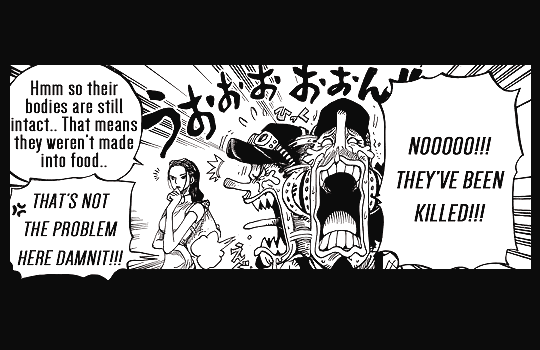 Originally I thought she just mistook Brook’s bones as a dead body as we saw at Punk Hazard and this could become a running gag where the Straw-Hats are presumed dead every arc. However now I’m thinking it may be more sinister. I also found it strange that Wanda licked Luffy and saved him from the Guardians despite claiming to Carrot that they will do what they have to do to stop him just a short while earlier. Just what is her game? It is mentioned that Zou was quite peaceful only 2 weeks earlier and everything was running smoothly, until the one called ‘Jack’ showed up. Now this Jack guy we keep hearing about and we even got a glimpse of him but for him to cause so much damage is crazy. Just how strong is this guy? I’ll be talking about Jack in a post to follow but let’s just say… this guy is somebody big and important. Sanji’s group also arrived on the island around two weeks ago and that’s when all the trouble started. Initially they were also classed as intruders but what happened next is all a mystery. Everything is linked to those missing two weeks the rest of the Straw-Hats spent in finding Zou. Hopefully we shall find some answers next week. That will be awesome. Look forward to speaking to you about the next chapter. Counting down the days.